Can i apply for Bank job after completing 12th class with 57%? Subjects for Bank entrance exam? I have completed my 12th class with 57%. My plan is to continue my career along with job. I am interested in banking. So, can I apply for bank job? Can I get job in bank? What are the subjects for entrance exam? What are the subjects required for banking exams? Please help me and send the complete details to "nagaswaroopshashank75@gmail.com". Can a person join the Merchant Navy after the 12th class? What should i do to get eligible for Bank PO being a 18 years old 12th class student? How to get a job in Bank after completing B.Sc in Agriculture. Also provide details about entrance exams for it? What kind of preparation required for government jobs? What are the jobs available after taking Computer science and if taken Biology then? Re: Can i apply for Bank job after completing 12th class with 57%? Subjects for Bank entrance exam? It is a good decision to continue your studies along with a job. You can opt for part time courses along with a job. Regarding bank job, 12th class candidates have good chances to get in to this field. 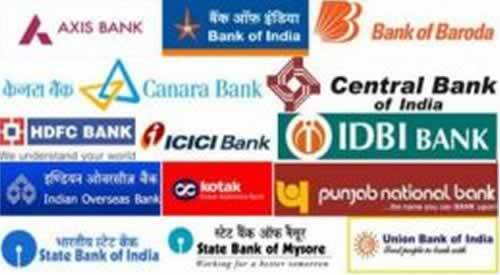 You are eligible to apply for clerical jobs in public sector banks. The percentage of marks required to apply for clerical jobs in banks is 50%. SC/ST/ OBC candidates are given relaxation in marks. Selection for this post will be through written examination. Bank entrance examination will be mainly an aptitude oriented test which will be objective type. You need to focus on topics like Logical Reasoning, Arithmetical Ability, Language and Comprehension, General Awareness etc. On clearing written exam, you will also have to attend Personal Interview. After the 12th class you want to do the job in the banking sector of the clerk post through the IBPS clerk entrance exam . Educational Qualification: you should be passed the 12th with atleast 55% marks from any recognized institute . so on the basis of the your IBPS exam score you can apply to the interview in 19 participated banks..
As you have completed 12th standard,you are only eligible for writing clerk exam and you can write P.O Exam only if you do Graduation. The syllabus for the clerk exam is as follows:It consists of 5 sections. Every section carries of 50 marks and candidates need to qualify in all the sections and must get atleast 24 marks in each and every section. The above mentioned are the eligibility details of IBPS CLERK exam. Sorry you cannot apply. As per the recent amendment in ibps clerk post is, the candidate should be graduate or equivalent degree to appear for ibps exam. Yes , With this percentage you are applicable for IBPS Clerk Exam. IBPS Clerk exam is conducted for 19 private banks clerk recruitment. You must completed 10th with above 60% marks OR you must completed 12th with 50% marks then you are eligible. Your age should be in between 18 to 28 years old.Age relaxation provide for Reserved category. For more details you can visit www.ibps.in . Yes, you can apply for the Bank Clerk Job. Bank Clerk Common Written Examination is conducts by the IBPS twice in a year. Minimum 10th with 60% marks. 12th with 50% marks from a recognized board. A graduate degree in any stream from a recognized university. For getting job in Bank, you have to write IBPS Examination with good marks. After qualifying IBPS Examination, you can apply for the interview in all banks differently as per marks secure by you. You should try secure good marks to get good possibility for final selection. can i apply for the bank jobs i have scored 48% in 12th class. Can i apply for Bank job after completing 12th class with 87%? Subjects for Bank entrance exam? With this percentage you are applicable for IBPS Clerk Exam. - Now it is not possible for 12th pass candidate to get bank job. - In recent bank clerk common exam conducted by IBPS, 10 and 12th pass with desired marks were eligible for clerk exam. - But for now only graduate pass student can apply for clerk exam. - So you have to complete you graduation now. - Well SBI group is there who allow 60% marks scorers in 12th class for clerk job. - 55% is enough for SC and ST.
- You have 57 so check your category. - Age limit: 18-28 years. - Well you are in need of job, so you can try for SSC LDC and DEO exam. - It is conducted by SSC every year. - Age limit: 18-27 years. Now, it's seems difficult to get a job in the banking sector with just an qualification of intermediate. In an recent notification for the Bank clerk examination, IBPS has made compulsory to hold a graduation degree to appear in this exam. Now regarding SBI, they haven't come with any examination notification, so it's early to comment about it. As per SBI earlier notification, you need to have completed intermediate with percentage of 60%. If you are an sc/st category, then only 55% is required. Your age have to be between 18 years to 28 years and upper age relaxations are applicable. where will be the bank exams conducted? which books should we refer? where the bank exams will be conducted? you should have minimum of 55% in 12th so that you can appear for the PO.s or Clerks examination..
and your age must be 18 to 28..
you need to prepare well for your entrance exam so that you will be called for the personel interview.. I finished 12th in 2011 with 90%. Currently I am doing B. tech IT 3rd year. Shall I apply for bank exam now? And Can u tell me the steps to proceed? Criteria to get government teacher job? Date of exam form submission for B.Ed CET exam? Is statistical investigator exam conducted by SSC-CGL an officer grade job? How the work experience of the job will get accounted for? Promotion chances in this job? Information regarding gross emolument? Governemnt job without written exam? Being M.Com and MA i gave many times exam but unqualified. Information about negative marks in LIC HFL exam? Is it a governemnt job or private job? Will AIMCET exam help me in getting a government job? Eligibility criteria for the exam?